The Country Friends invites you to our 63rd annual Art of Fashion Runway Show and Luncheon. Come with your Fashionista friends and family to enjoy a day of shopping and giving back! 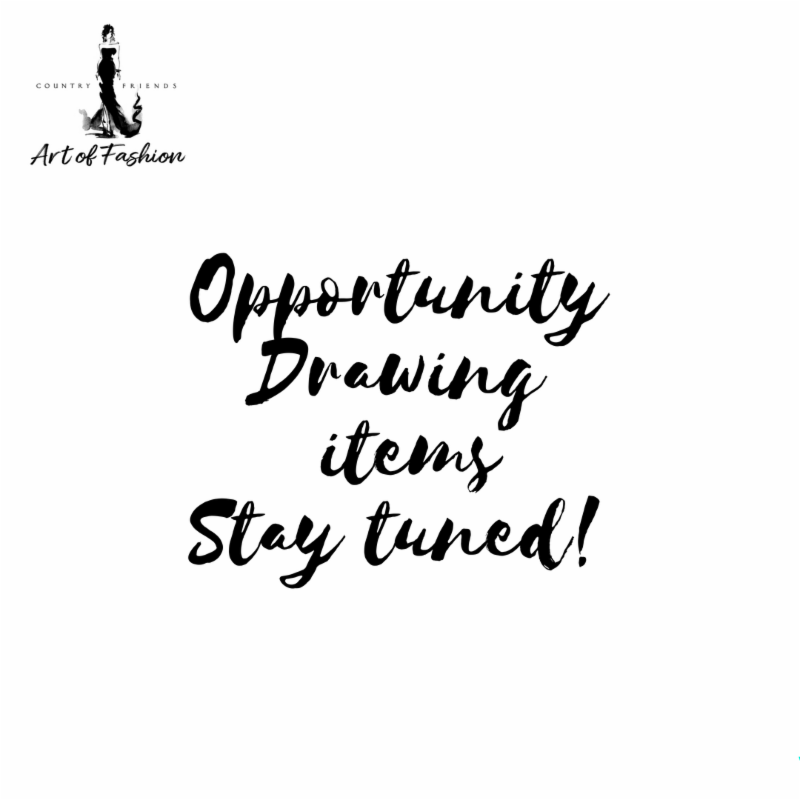 Recognition in the invitation, program, press releases, exposure via social media channels, signage at the Art of Fashion, and acknowledgment from the stage. You will be invited to an exclusive cocktail party at Mille Fleurs in Rancho Santa Fe and to a private in-store fashion presentation at South Coast Plaza. A customized engraved Legacy Campaign brick in courtyard at The Country Friends is also given to Sponsors. *All tickets include lunch except Fashion Show Only. 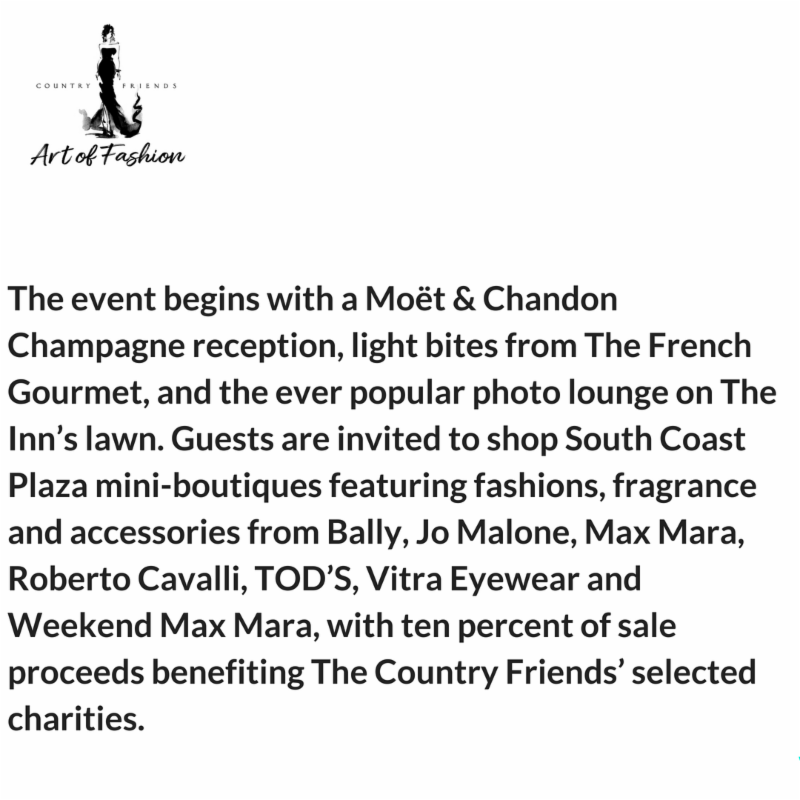 In keeping with tradition, The Country Friends Art of Fashion recognizes those who have given their time and talents to help further the organization’s mission of supporting human care agencies. This year’s honoree is Maggie Bobileff, a Rancho Santa Fe business woman, philanthropist, and fashionista. Maggie co-chaired the Art of Fashion last year with her dear friend, Denise Hug. She has served on the AOF committee and on The Country Friends Board of Directors for a decade, and given selflessly and tirelessly to many causes. San Diego County. We thank you and we celebrate you!